Despite recent successes, the $5 bln German tech investor still languishes below its listing price. Rocket Internet also faces SoftBank’s $100 bln Vision Fund pushing up M&A values. Hence spending dry powder on a share buyback makes sense – though investors may have wanted more. Oliver Samwer, CEO of Rocket Internet, a German venture capital attends the shareholder meeting in Berlin, Germany, June 23, 2015. German technology investor Rocket Internet said on Sept. 20 it would buy back up to 150 million euros of shares, or 3.6 percent of its outstanding stock. 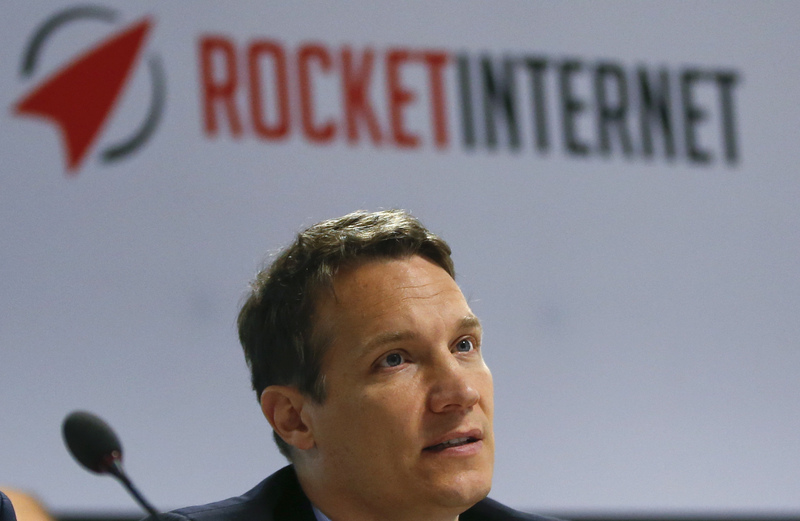 Rocket Internet’s share price has risen by more than 43 percent since the beginning of 2017. In that period, it has listed a series of startups including Delivery Hero and HelloFresh last year, and Home24 in June 2018. Its shares were up 3.5 percent to 27.78 euros at 0725 GMT on Sept. 20, still 35 percent below the initial public offering price in October 2014.